Well-to-do hunters of the era were typically accompanied by a pack of hounds and several terriers, often running them both together. The hounds would scent and pursue the quarry and the terriers would "go to ground" or enter into the quarry's burrow and make the kill. 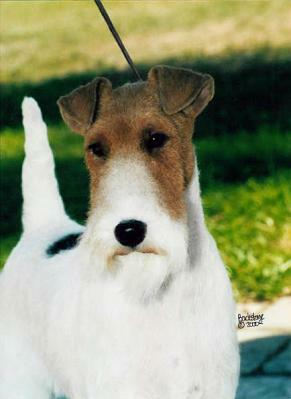 Terriers were often the sporting dog of choice for the common man. Early sporting terriers needed to be big enough to tackle the quarry, but not so big as to prevent them from maneuvering through the quarry's underground lair. As a result, these terriers had to have a very high degree of courage and pluck to face the foe in a tight, dark underground den without the help of human handlers. During the middle of the nineteenth century, regular sporting events took place along the River Aire in which terriers pursued the large river rats that inhabited the area. A terrier was judged on its ability to locate a "live" hole in the riverbank and then, after the rat was driven from its hole by a ferret brought along for that purpose, the terrier would pursue the rat through water until it could make a kill. As these events became more popular, demand arose for a terrier that could excel in this activity. One such terrier was developed through judicious crossings of the Black-and-Tan Terrier and Bull and Terrier dogs popular at the time with the Otter Hound. 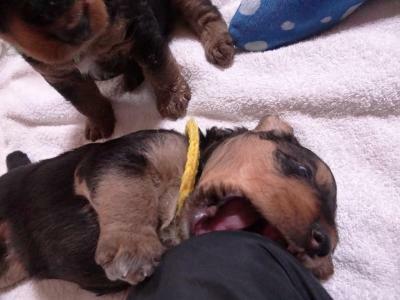 The result was a long-legged fellow that would soon develop into the dog we recognize today as the Airedale Terrier. This character was too big to "go to ground" in the manner of the smaller working terriers; however, it was good at everything else expected of a sporting terrier, and it was particularly adept at water work. 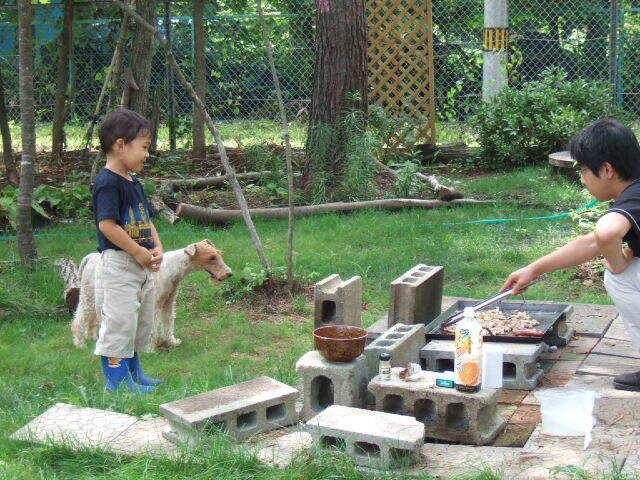 This big terrier had other talents in addition to its skill as a ratter. Because of its hound heritage it was well equipped to pick up the scent of game and due to its size, able to tackle larger animals. It became more of a multipurpose terrier that could pursue game by powerful scenting ability, be broken to gun, and taught to retrieve. 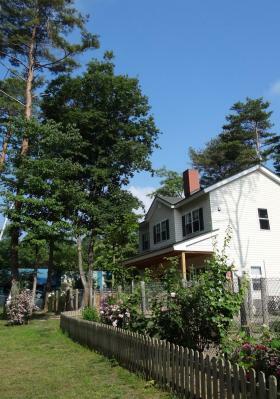 Its size and temperament made it an able guardian of farm and home. One of the colorful, but less-than legal, uses of the early Airedale Terrier was to assist its master in poaching game on the large estates that were off-limits to commoners. Rabbits, hare, and fowl were plentiful, and the Airedale could be taught to retrieve game killed by its master, or to pursue, kill, and bring it back itself. 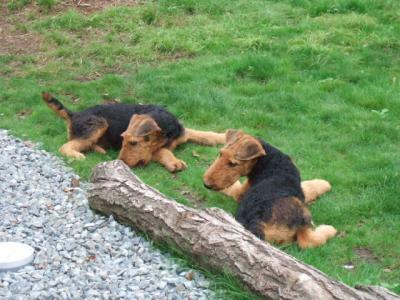 The first imports of Airedale Terriers to North America were in the 1880s. The first Airedale to come to American shores was named Bruce. After his 1881 arrival, Bruce won the terrier class in a New York dog show. The patriarch of the breed is considered to be CH Master Briar (1897–1906). Two of his sons, Crompton Marvel and Monarch, also made important contributions to the breed. The first Canadian registrations are recorded in the Stud book of 1888–1889. In 1910, the ATCA (Airedale Terrier Club of America) offered the Airedale Bowl as a perpetual trophy, which continues to this day. It is now mounted on a hardwood pedestal base, holding engraved plates with the names of the hundreds of dogs that have been awarded Best of Breed at the National Specialties. Lieutenant Colonel Edwin Hautenville Richardson was responsible for the development of messenger and guard dogs in the British Army. 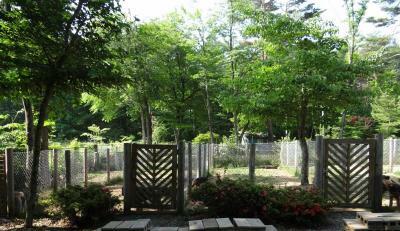 He, along with his wife, established the British War Dog School at Shoeburyness in Essex, England. In 1916, they provided two Airedales (Wolf & Prince) for use as message carriers. After both dogs proved themselves in battle, Airedales were given more duties, such as locating injured soldiers on the battlefield, an idea taken from the Red Cross. Before the adoption of the German Shepherd as the dog of choice for law enforcement and search and rescue work, the Airedale terrier often filled this role. In 1906, Richardson tried to interest the British Police in using dogs to accompany officers, for protection on patrol at night. Mr. Geddes, Chief Goods Manager for Hull Docks in Yorkshire, was convinced after he went and saw the impressive work of police dogs in Belgium. Geddes convinced Superintendent Dobie of the North Eastern Railway Police, to arrange a plan for policing the docks. Airedale Terriers were selected for duty as police dogs because of their intelligence, good scenting abilities and their hard, wiry coats that were easy to maintain and clean. Two Airedales were among the dogs lost with the sinking of the RMS Titanic. The Airedale "Kitty" belonged to Colonel John Jacob Astor IV, the real-estate mogul. 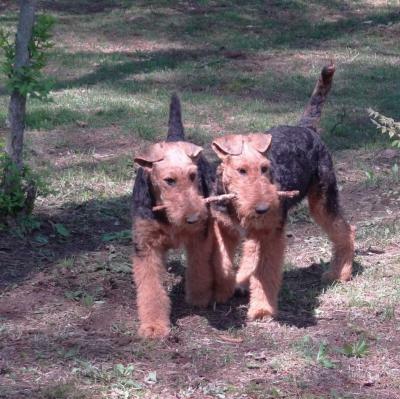 The second Airedale belonged to William E. Carter of Bryn Mawr, Pennsylvania. Mr. Carter was the owner of the Renault automobile in which Jack and Rose trysted in the movie "Titanic". Carter, his wife and two children survived the sinking. During the 1930s, when airedales were farmed like livestock, American breeders developed the Oorang airedale. Capt. Walter Lingo, of LaRue, Ohio, developed the Oorang Airedale strain. The name came from a line of bench champions, headed by King Oorang 11, a dog which was said to have been the finest utility dog. King could retrieve waterfowl and upland game, tree raccoons, drive cattle and sheep, and bay mountain lions, bears, and wolves. King even fought one of the best fighting bull terriers, and killed his opponent. He also trained in Red Cross work, and served the American Expeditionary Force at the front in France. 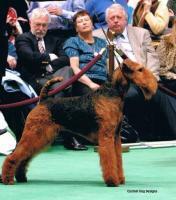 Lingo simply wasn't satisfied with the average strain of Airedale, and after an incredible series of breedings, for which he brought in great Airedales from all over the world, he created the "King Oorang." At the time, Field and Stream magazine called it, "the greatest utility dog in the history of the world." The Oorang Kennel Company continued until Walter Lingo's death in 1969. To help promote the King Oorang, as well as his kennels, Lingo created the Oorang Indians football team headed up by Jim Thorpe. The team played in National Football League from 1922–1923. Jerry Siebert, an Airedale breeder in Buckeye Lake, Ohio, followed in Lingo's footsteps, and bred "Jerang Airedales." There is a kennel in Tennessee that claims to have original Oorang Airedales. After the First World War, the Airedales' popularity rapidly increased thanks to stories of their bravery on the battlefield and also because Presidents Theodore Roosevelt, Calvin Coolidge, and Warren Harding owned Airedales. President Harding's Airedale, Laddie Boy, was the "first celebrity White House pet". President Harding had a special chair hand carved for him to sit on at very important Cabinet meetings. In the 1920s, the Airedale became the most popular breed in the USA. President Roosevelt claimed that "An Airedale can do anything any other dog can do and then lick the other dog, if he has to." 1949 marked the peak of the Airedales' popularity in the USA, ranked 20th out of 110 breeds recognized by the American Kennel Club. The Airedale Terrier was recognized by United Kennel Club in 1914. The Airedale Terrier was recognized by the American Kennel Club in 1888. 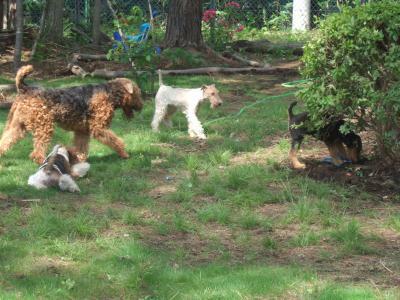 The Airedale Terrier Club of America (ATCA), founded in 1900 is the parent club of the breed in the United States and the official-spokes organization for the breed with the American Kennel Club (AKC).